There’s probably not much demand for automating CIFS Server Domain joins (cifs server create). Still, if you have to create a lot of SVMs, and each SVM has a CIFS server on the same domain, and you don’t want to keep having to enter the domain administrative credentials (or getting someone else to do this), this blog post might be of interest. 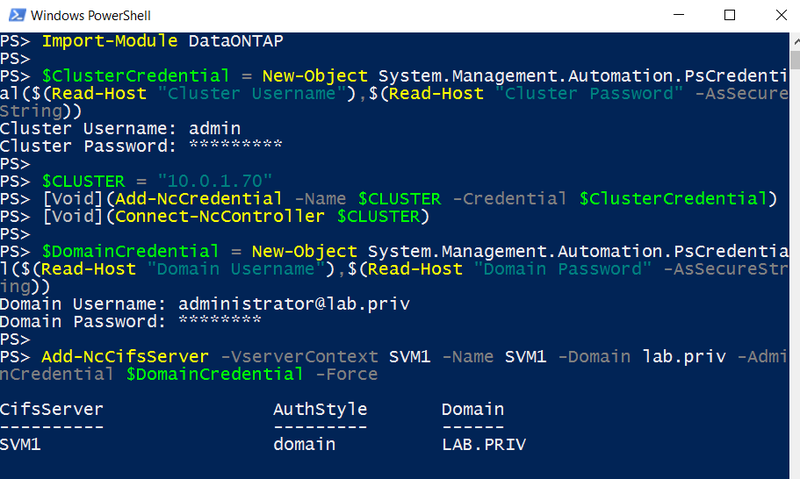 In PowerShell we can save the domain credentials so we don’t need to keep inputting them. 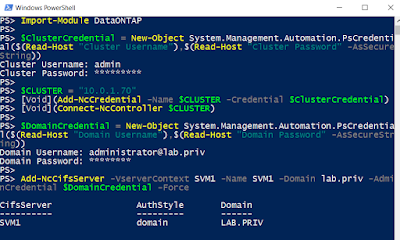 The below is an example of how to do a domain join in PowerShell using the Data ONTAP PowerShell Toolkit.